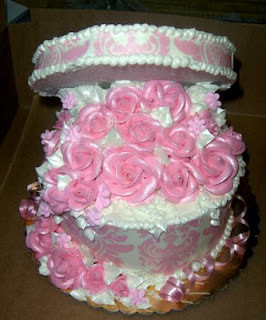 Looking for a delicious cake for a birthday party, wedding, or other special event that needs to be gluten free? Well you're in luck -- Hansen's Cakes is now offering gluten free options! Thanks to @KevinsCalir for the tip on Twitter. I am not getting married anytime soon and my birthday was in March, so I might not check this place out for some time, but I wanted to pass along Kevin's great tip to all of you! The site also has their own blog here with pictures of some of their previous work. Their cakes look amazing! Please note that the above pictures are taken from the website and may or may not be gluten free samples. Call Hansen's directly to discuss your options! P.S. Follow Gluten Freeway L.A. on Twitter Here! UPDATE: Check below in the comments section for a note from Hansen's Cake! Well, Mr. Glutenfreeway, it is true, virtually any of our designs are now available in a gluten-free or vegan option. We just require little more advance notice (like a week or two) and away we'll go. There is an additional fee for these options though, as we outsource the gluten-free/vegan baking via The Sensitive Baker in Culver City. All Kosher Dairy, just like all of our other cakes. Thanks for your comment Hansen Cakes! Is there any other information I should include? I tried to find an e-mail address for you on your site but couldn't. Thanks for the GF options! I heard about Hansen's Bakery from The Sensitive Baker. I LOVE the Sensitive Baker's cakes so I thought that I would go and order my wedding cake through Hansen's. So I made an appointment there, explained that I had Celiac's, and off I went. THE EXPERIENCE WAS COMPLETELY TERRIBLE!!! Do NOT go to this bakery. I have probably never had as bad of an experience with a company in my life! When I show up, the woman that I met with was insulting. Every idea I had she looked at me like I had said something offensive. "You want your cake to be white?!?" "You want your cake to have blue on it?" Every time she gave me this horrible face that basically said, "Well, if you want to ruin your wedding, go right ahead!" All I asked for was a two-tiered white wedding cake with a blue ribbon around each tier. What's so odd about that? They have it in Martha Stewart magazine! Then comes the cake tasting. The cake they served was NOT the Sensitive Bakers. The cake was dry, terrible tasting, and falling apart. I've had every cake for several years from the Sensitive Baker and this was not that! No one could tell me what of the fillings was gluten free and each person I talked to told me something different. I finally talked to one person who actually seemed to know what was going on and he said that they say that they take the cakes from the Sensitive Baker, but apparently they have started making their own recipe. I went and complained to The Sensitive Baker. The woman there told me that this was the first that they had heard of this and they were shocked that Hansen's was selling gluten free cake that wasn't theirs (in violation of their contract too!). From the sound of it, doesn't look like Hansen's will have the Sensitive Baker's business for much longer. So I'm currently trying to work out some deal for the Sensitive Baker to make my cake and trying to see if my caterer can find someone else to decorate it for me. I hear that Cake Divas decorates vegan cakes so we are currently talking with them to see if we could work something out. DON'T go to Hansen's. The terrible reviews they have online are COMPLETELY true! Don't risked getting glutened (and terrible cake) from this place!! !